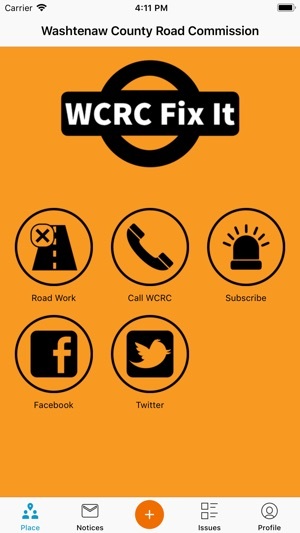 WCRC Fix It allows you to easily report issues you see on county roads directly to the Washtenaw County Road Commission (WCRC). 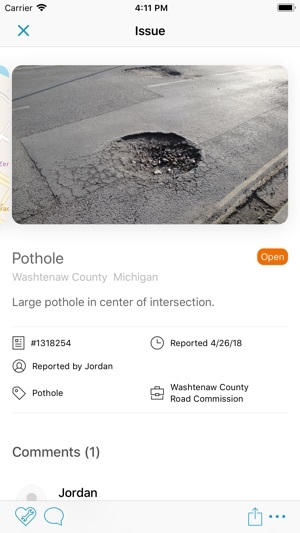 From potholes to signal problems, this app provides users the ability to track service requests and be notified when issues are resolved. You simply drop a marker on the map where you noticed a road concern, answer a few questions to help us understand what needs to be fixed, and include a photo when possible. You can even comment on issues others have submitted. We will notify our crews, have the issue fixed as quickly as possible and let you know as soon as we have it resolved. This app works well, it does ask too much info. 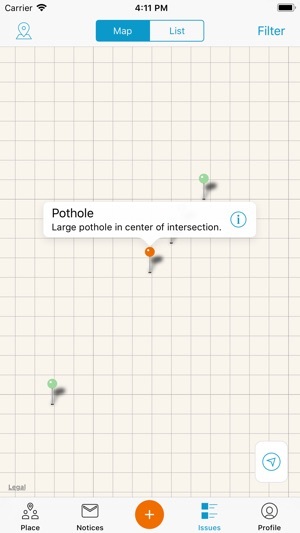 Do you really need to know which lane the pothole is in, seriously, they are visible to the naked eye. 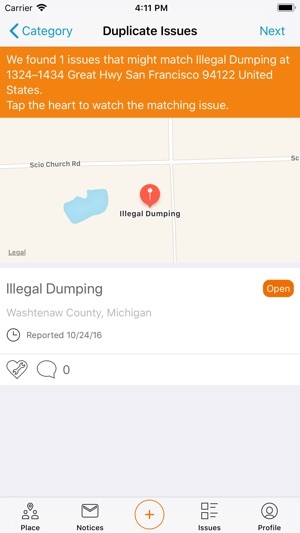 I just attempted to report a road that was riddled with thousands of potholes, but the app won’t load at all. I assume that has to do with the latest iOS update I just installed. It asks for a point on the map with the problem then asks for cross roads. If you have GPS coordinates you don't need crossroads. Also it asks for too much info. They should simplify reporting similar to Waze. Annoying you have to create an account but could get over it if reporting was simple. It's like they don't want you to use the app. 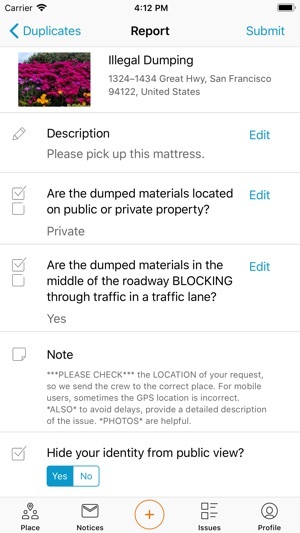 This is a good idea, but the application took my current location as the problem location (partly my fault),and the app will not allow me to edit the submission to correct it. At least I have the location spelled out in the description.